SO, DO WHAT YOU CAN! 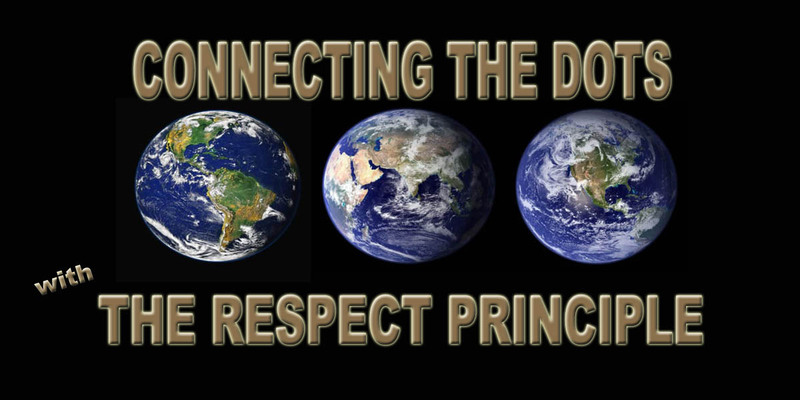 SUPPORT the “Connecting the Dots … with The RESPECT PRINCIPLE” GLOBAL INITIATIVE! 1 … Contribute directly to the fundraising campaign to print books! 2 … Order the core book, “Connecting the Dots … with The RESPECT PRINCIPLE,” for your or your children’s school to share and study! 5 … Join the team … become a partner! THANK YOU SO MUCH FOR YOUR HIGH “RESPECT LEVEL” THAT’S GENERATING HIGHER “RESPECT LEVELS” for THOSE STILL STRUGGLING TO EXPERIENCE THAT THEY MATTER TOO! Freeing “Potential” with Education, Entertainment, and Inspiration with the global initiative and core book Connecting the Dots … with The RESPECT PRINCIPLE … because every child … every person … should know, by their own experience, they are valued … RESPECTED.</strong> © All rights reserved 2014. SUPPORT getting the core book into schools, prisons, and social support organizations this fall by contributing to the “BECAUSE EVERY CHILD … “ fundraising campaign.